The dire humanitarian situation in Yemen is an entirely man-made catastrophe. Now in its fourth year, 22.2 million Yemenis have been left in need of some form of humanitarian assistance or protection. “Khalas. There is no more future. 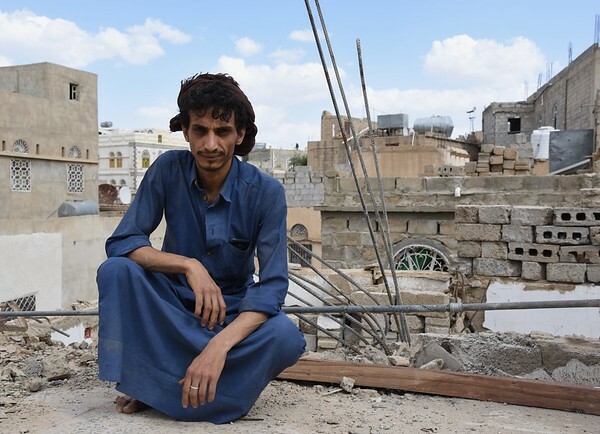 Nothing to look forward to anymore.” Yusuf Ali Ahmed's (28) lost 8 family members during an airstrike in June this year. Four of the dead were his cousins, all under the age of 13, with the youngest only eight months old. “They are targeting civilians more than each other. This war on innocent people must stop," he said.